When you attend a pen show, it’s a good idea to take your own notebook for sampling pens and for trying everyone else’s pens! It’s nice to be able to take it home with you to see what you liked (for your next pen show, or for your next buy). Sometimes paper is provided by vendors, but not always. I took a Colsen Keane No. 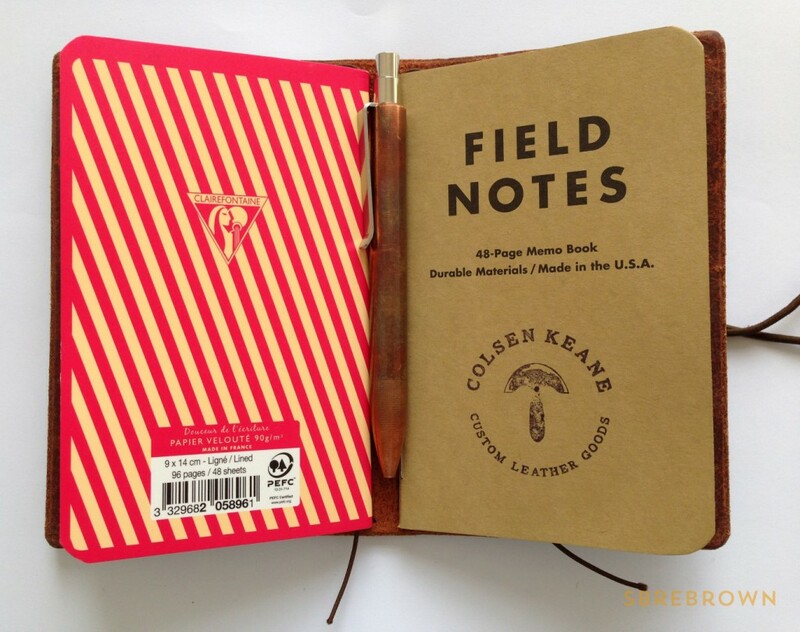 410 Scotch Grunge Field Notes Cover with me with a Clairefontaine Back to Basics Bob Foundation Waves pocket notebook, yes, in pink, and a Field Notes kraft cover notebook. 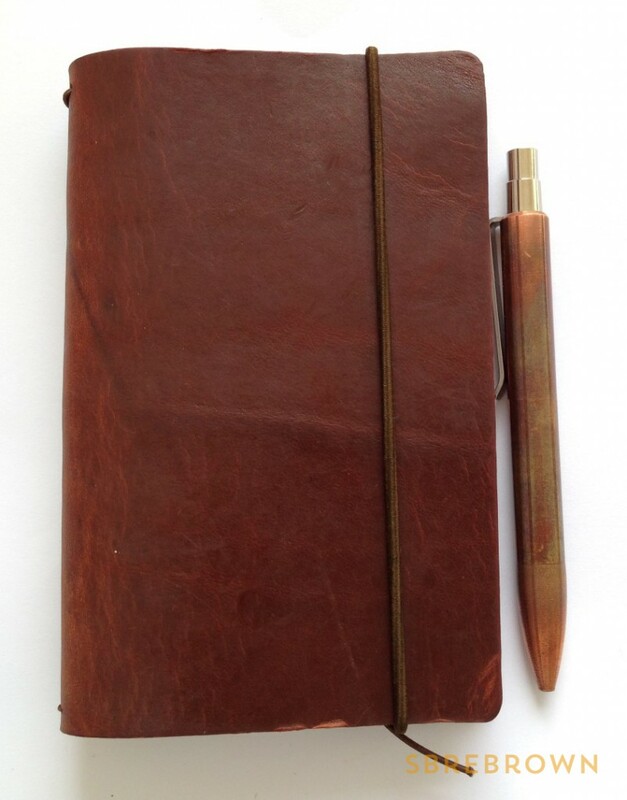 I also carried a Tactile Turn Shaker in copper, for jotting things down. As for fountain pens (not pictured), I had a Kaweco Sport Calligraphy Pen with a 1.9 mm nib inked with Conway Stewart Kingsand, a Visconti Opera Crystal 1.3 mm stub inked with Kaweco Paradise Blue, an Edison Menlo 1.1 mm inked with Noodler’s Liberty’s Elysium, and a Sailor 1911 Standard Music nib inked with Sailor Jentle Apricot. 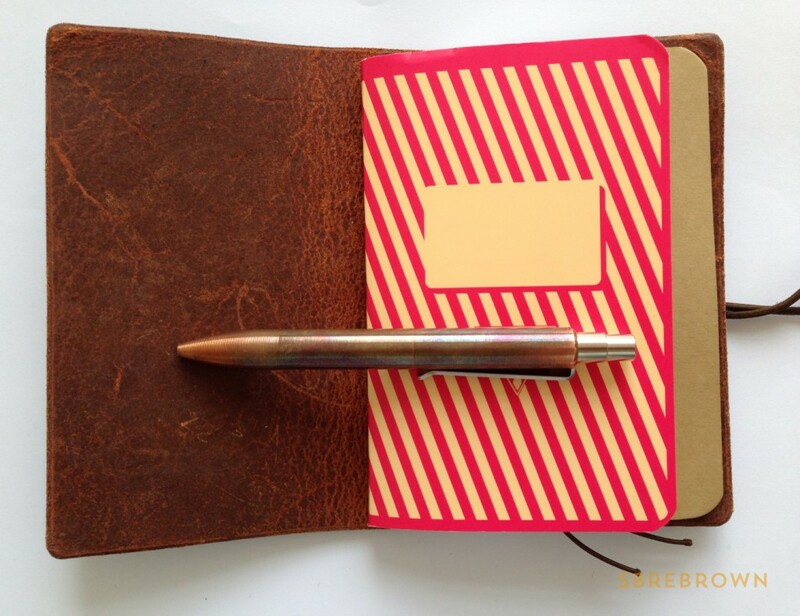 This entry was posted in Fountain Pens and tagged EDC, Fountain Pens, Handmade, Leather, Pen Shows on October 16, 2014 by Azizah Asgarali.